Friday January 7 – A Winter Weather Advisory has been expanded farther north for Saturday. 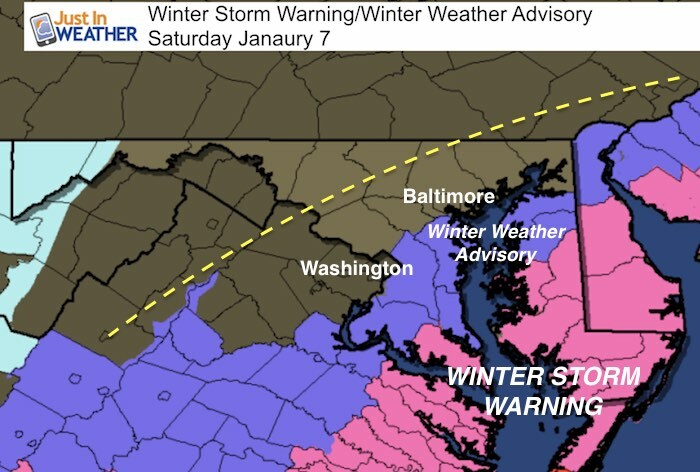 The National Weather Service has included Anne Arundel and PG Counties in Central Maryland for 3 AM to 3 PM for the potential of 1 to 3 inches of snow. This includes Annapolis and the Bay Bridge to Queen Annes County. On the north side, I’ve highlighted the location where I see the northern extent of snow reaching but nor advisories there yet. It may be light but still potential snow. A Winter Storm Warning is posted for St. Mary’s County southern Maryland an much of the Delmarva for dangerous travel much of Saturday. 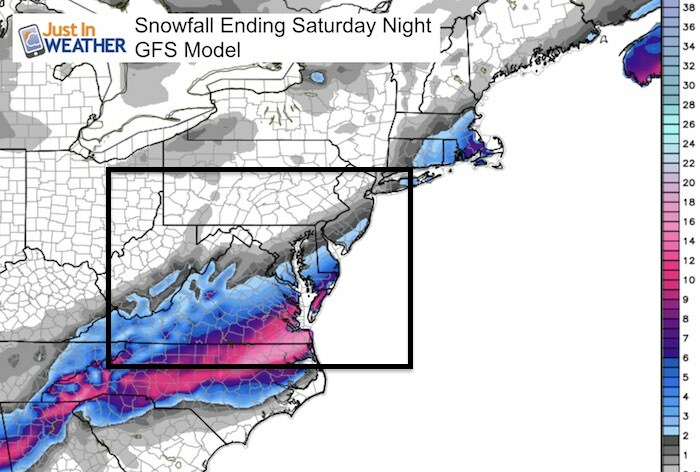 Some areas including Salisbury and Ocean City could get over 6 inches of snow. Will this reach Baltimore and Washington? 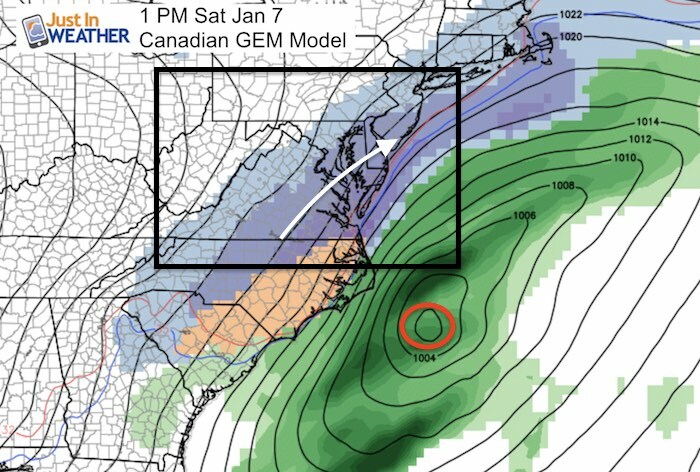 I have been tracking and sharing my suggestion over the past few days that this storm would verify farther north. More models are supporting this. Here is a quick look at the latest forecast guidance. 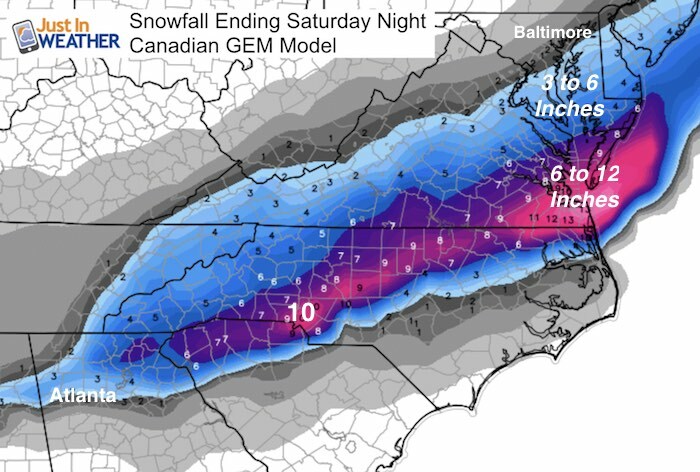 I will post my call for snowfall this evening. Stay tuned for more details and possibly including areas around Baltimore and Washington.